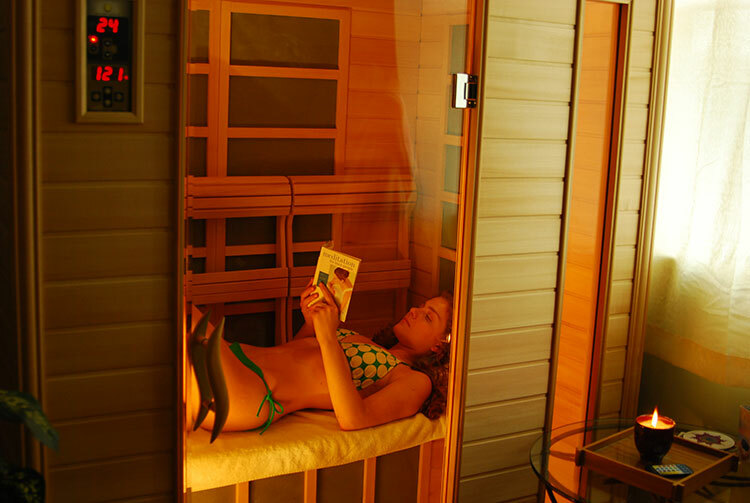 As you sit back and enjoy the therapeutic, radiant heat of the infrared sauna, you burn calories. Up to 600 calories can be burnt in a single 30 min session, the equivalent energy expenditure as a 9 mile run. Infrared treatments cause the body to perspire and the heart rate to increase; both effects offer a number of health benefits. These cabins can be used to simply unwind and relax, or to detoxify the body and help you to lose weight. Traditional saunas warm up the air with heat and humidity, while infrared saunas use light to create the heat. Infrared saunas only heat 20% of the surrounding air, leaving more heat available for heating up the body. Because of this, the body is warmed more efficiently at far lower temperatures, making infrared cabins an attractive option for those who find the heat generated in traditional saunas difficult to bare. Infrared cabins are mostly used for their ability to detoxify the body and burn calories. 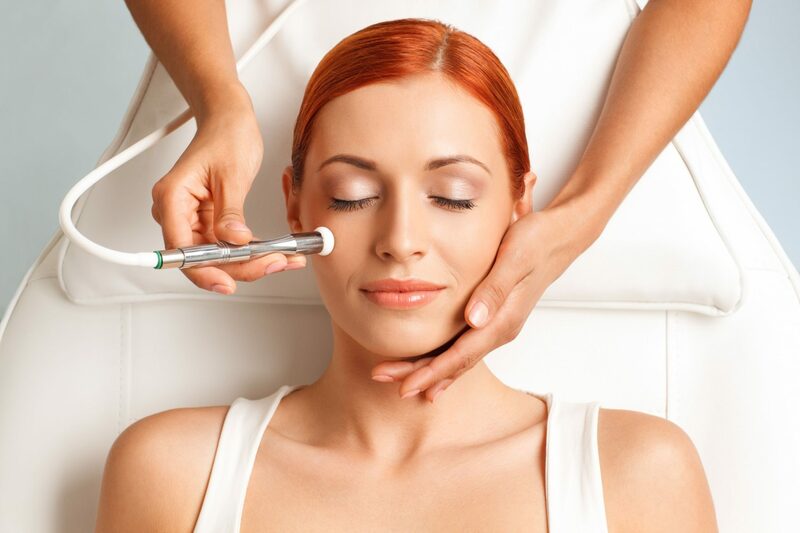 Infrared treatments also increase the production of collagen; an important factor in improving the tone and overall appearance of your skin. The main function of the infrared cabin is to make you perspire. Sweating is a good thing because it helps to flush unwanted, and harmful toxins out of your body. 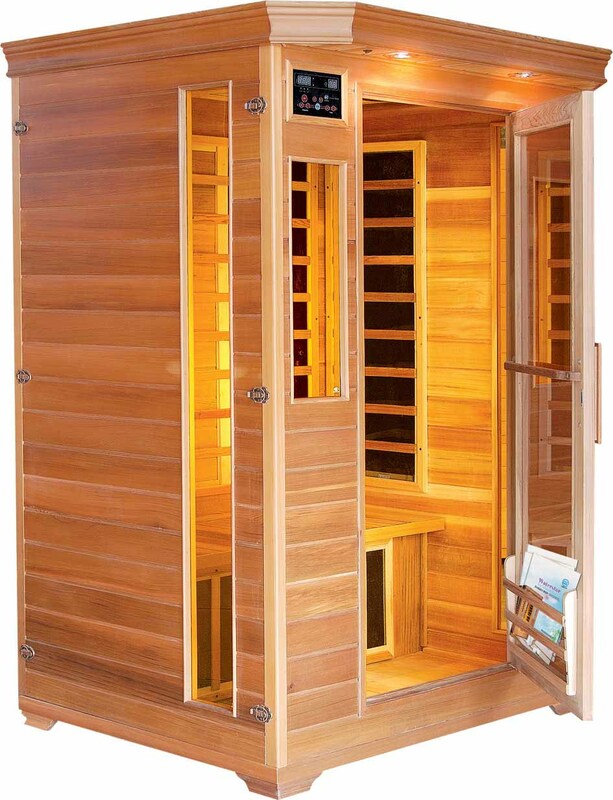 Infrared cabins promote a deeper sweat in more profuse amounts than you get from a traditional sauna. A single 30 minute session can burn as many as 600 calories, or the equivalent energy expenditure as a 9 mile run. 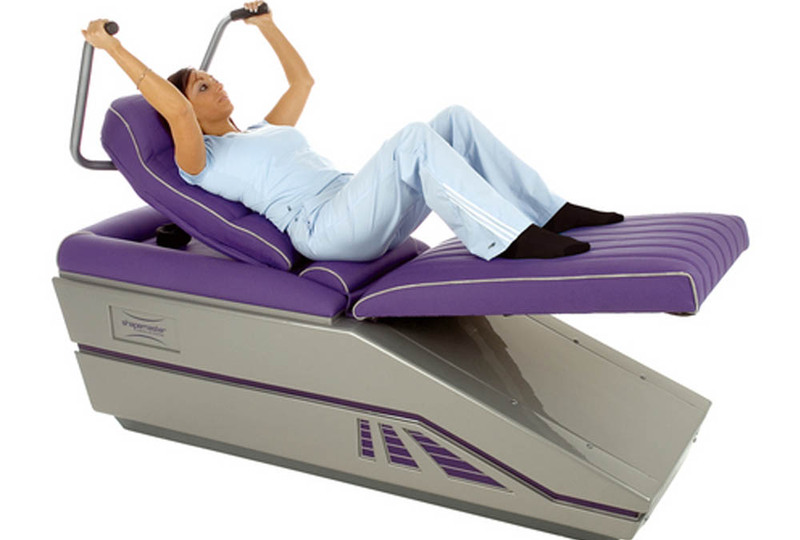 Infrared treatments are a great way to unwind as well as resting and repairing aching muscles, and joints. The increased body temperature you experience from this treatment helps improve the body’s circulation and stimulates the flow of blood necessary to repair damaged muscles and joints. 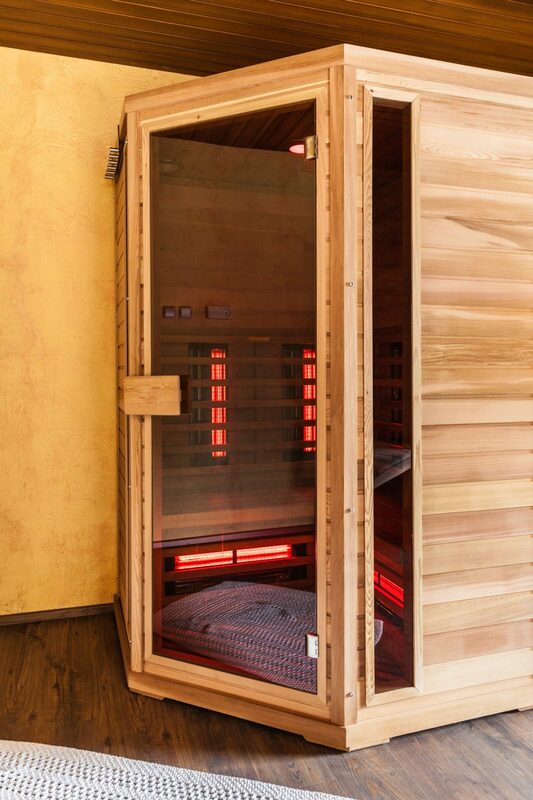 Just a few weekly sessions in an infrared cabin should be enough to help you to ease any muscle stiffness and joint pain. People with more chronic conditions, like rheumatism, can reap the benefits of infrared cabins to help to reduce inflammation and stiffness. Many athletes use infrared treatments to treat muscular pains following exercise, and to help recover from injury. Another benefit of infrared cabins, is that they can help you to look and feel younger by improving the overall health and appearance of your skin. The heat from infrared cabins promotes and stimulates the body’s circulation and improves the flow of blood to the skin, while flushing away the damaging toxins that we are bombarded with on a daily basis. 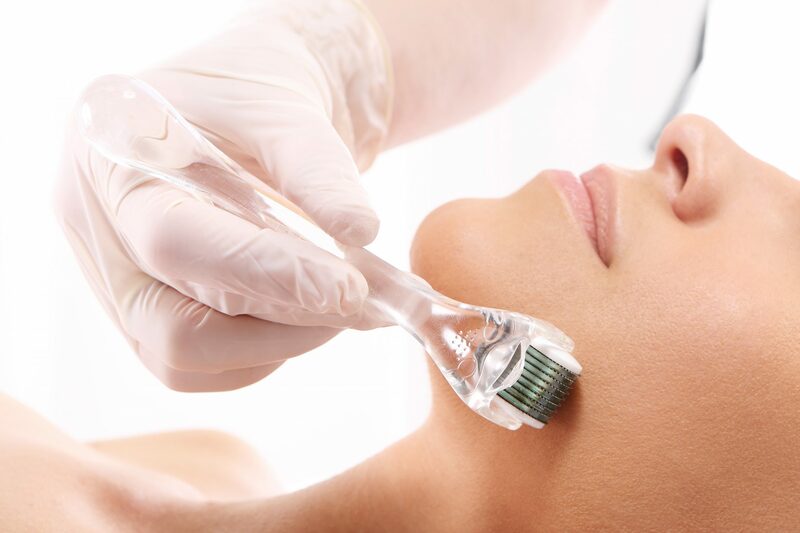 €60 The microdermabrasion procedure is a safe alternative to chemical exfoliating treatments, working miracles on stretch marks. 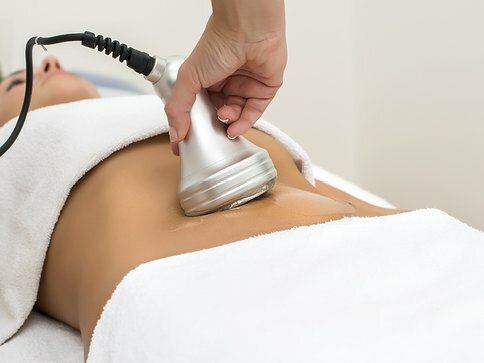 €25 Electrical Muscle Stimulation is an advanced technique used worldwide for toning, reshaping, and firming abdomen, upper arms, inner & upper thighs, buttocks and for maintaining muscle definition. 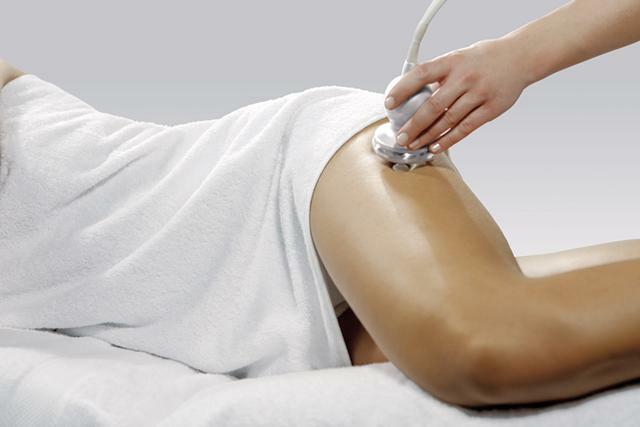 €40 Parafango is an effective treatment for inch loss and cellulite control. It combines the thermal properties of paraffin with the detoxifying effects of fango (Sea Mud).